Should You Smoke Concentrates If You Have A Low Tolerance? The world of concentrates is complex, especially due to their potency. If you have a low tolerance, or smoke very casually, should you smoke concentrates? In the cannabis community, concentrates are all the rage right now. If you have been a casual smoker for a while, and enjoy flower, concentrates have probably piqued your interest. That being said, the world of concentrates is complex, especially due to their potency. If you have a low tolerance, or smoke very casually, should you smoke concentrates? As concentrates have becomes more and more popular, they have taken various new forms. While the differences between shatter and wax may go over your head, one thing will not: concentrates are potent. Cannabis concentrates are extracted using either solvent or solvent-less extraction methods. The type of extraction leads to the variety of textures and forms that cannabis concentrates take. Regardless of extraction method, the various concentrates have a number of things in common. 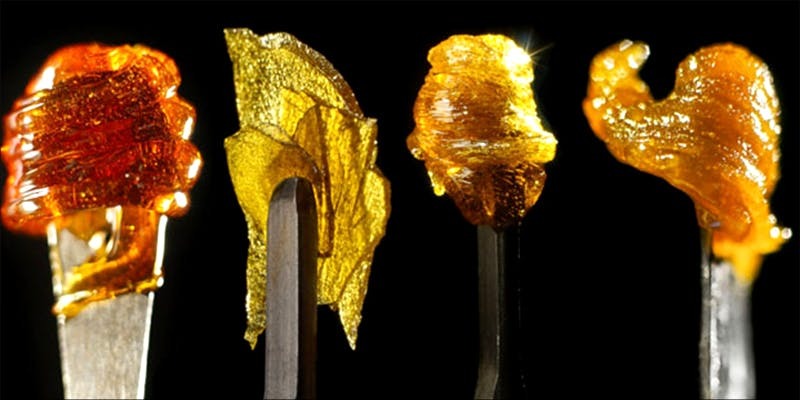 First, concentrates are incredibly potent; the THC level can range from 50%-90% or more. In comparison, the level of THC in flower ranges from 10%-25%. Second, due to the level of potency, less is more. While you may have to enjoy an entire joint to get high, you probably only need a dab or two to feel the effects of a concentrate. Do not, I repeat, do not try concentrates for the first time when you’re alone. With concentrates, the chances of getting too high, are well, high. Don’t be the one who takes five dabs, and starts freaking out because of your low tolerance. Just don’t. Use concentrates with friends to help you keep calm. If you have a low tolerance because you occasionally smoke flower, don’t go for the strongest concentrate you can find. Stick to the 50%-60% range and start small. This is one of the best ways to ensure that you will have a good experience trying concentrates, despite your low tolerance. The cannabis community loves concentrates because you are in control of how much or little you use. Honestly, what is better than that? Whether you have a high or low tolerance to THC, concentrates make it easy to experiment and ultimately determine how much your ideal concentrate amount should be. Knowing this, that you have the power, helps users to get passed the fact that they have a “low tolerance” and try something new. So, should you smoke concentrates if you have a low tolerance? Yes. Of cour, e you should! Close your eyes and imagine the day you smoked your first joint. It wasn’t that scary. As long as your follow the guidelines above, your low tolerance won’t inhibit you from trying the latest craze in the world of cannabis.